Fertilise gardens every season Summer, Autumn, Winter and Spring using Osmocote or All Purpose plant food. Osmocote does not work June to August. Saturaid (Wetting Agent ) every 6 months, this helps water get through to the plants root system and keep moisture evenly spread around the plant. Mulch garden every year with good quality organic mulch. Always make sure fertiliser is applied after mulching and Saturaid. 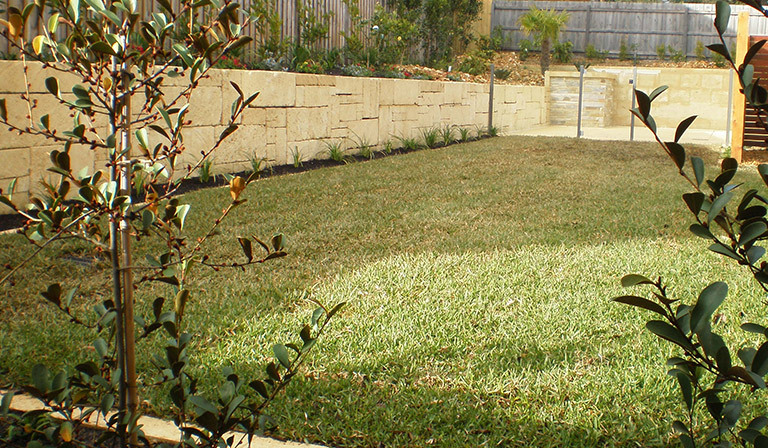 Garden always responds well with a light trim, Spring, Summer and Autumn. Winter prune July, Roses, deciduous trees and good time to transplant most plants in the garden, please email or call if not sure. Snail bait every month with cat and dog deterrent snail bait, apply lightly in bushy areas where snails are hiding. Check garden for animal damage eg. Cats and dogs using your garden as a toilet. Nephrolene flakes or Citrus peal will deter. Possums and Rabbits chewing plants, Blood and Bone will deter or hot chilli paste on fences will help. Birds scratching mulch onto path areas, use gutter guard or plant border eg. mondo grass or Ajuga. Drip watering systems are easy to set up and an economical way of watering the garden. Gardens should be made simple and easy to look after, with good balance and flow.